What happens when women help each other take the next step towards the future? We can redefine power, particularly in business. October is National Women’s Small Business Month, and women continue to show record rates of becoming their own bosses and creating wealth with others. According to the Small Business Administration, women-owned businesses employ over 8.4 million people in the United States. That represents $264 billion in payroll and $2.5 trillion in sales. Yet like any other venture, small businesses have to find ways to survive, too. In fact, 66% of small businesses exist after two years, and about 50% continue to operate after five. How do we find ways to beat the odds of failure? Kendra Scott believes that past failures can be a gift from the future, if you can learn and grow from those experiences. Her billion dollar jewelry and home decor business has long since graduated from being small, but she didn’t start out that way. Her company was built on learning from past mistakes while also lifting up other women. 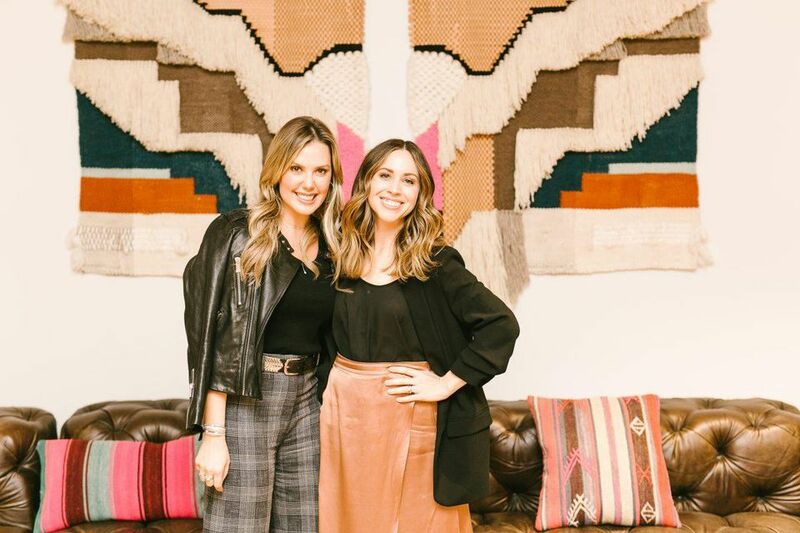 I got a chance to talk with her and Jaclyn Johnson, the founder of Create + Cultivate, on the final stop of Johnson’s Work Party tour in Austin, Texas. Work Party is title of Johnson’s recently published book, featuring advice for Millennial women on how to own and define their career narrative. It also chronicles the wisdom and insight of business leaders like Scott, whom she interviewed on her podcast. Tanya Tarr: When you first went into business for yourself, how did you stay motivated when you hit set backs, particularly in those early stages? Kendra Scott: The first business I had was for five years. I thought I was going to have a national chain of hat stores across the country. I was going to create a movement and cure cancer at the same time. I was 19 years old, an idealist and I wanted to save the world. None of those things happened – hats didn’t make a comeback as I thought they would – but what did happen was I got a masters degree in the school of hard knocks and retail. This set me up well for building Kendra Scott. Initially, I wasn’t even going to go back into retail. I wanted to just manufacture jewelry for wholesale, thinking it would be an easier and safer bet. I realized after trying to do just one facet of the business that fear was holding me back. I had to let go of fear. The minute I let go of fear was when amazing things started to happen. Tarr: What helped you do that? Scott: This great thing called the recession happened, and that forced me run my business differently. All of my eggs were in this wholesale basket and I wasn’t selling direct to consumer at all. I was really dependent on others for the failure or success of my business, and I didn’t want someone else to have the power to do that. I wanted to control my interaction with the consumer and talk to her directly. Tarr: It seems like owning that conversation – that direct negotiation with your customer – paved the way for growth. Can you say more about that? Scott: In a business-to-business situation, you write a purchase order and you rely on someone else to sell your product. I wasn’t getting any engagement with our customers, and that was hard for me. I didn’t know what she loved, what she didn’t like or what she wanted more of in terms of product. When we opened our first store in Austin, it was designed to be a laboratory. Our offices sat above the store on purpose, and we had to talk and engage with our customer on our way to the office. We wanted to learn from her — that was the goal. We wanted to give her a great experience, something unlike anything else out there. We wanted to engage with her in a personal, authentic way and learn from her. That store as a laboratory was a successful retail model. It still informs our choices and it’s still my favorite place to be.